A dramatic change to the kitchen doesn’t have to break the bank. 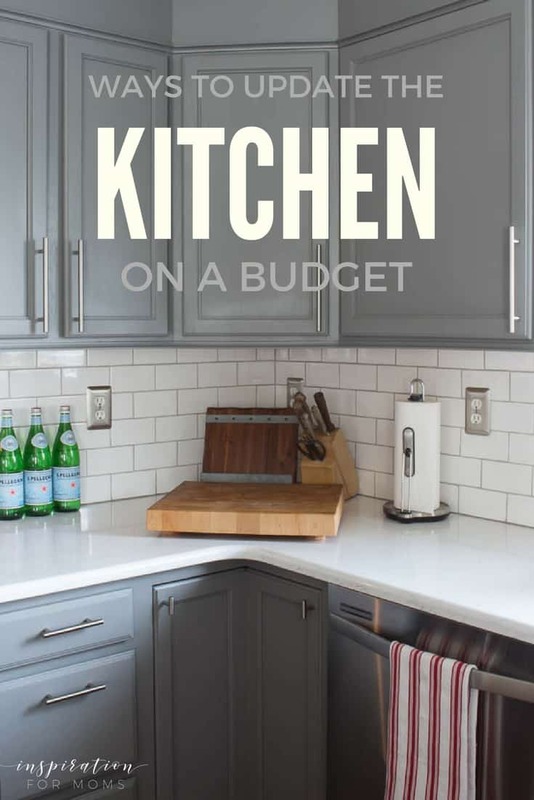 Update your kitchen on a budget with a few low cost projects and deliver big results. It’s true what they say, “The kitchen is the heart of the home.” So of course, you want to make it a welcoming space that you truly enjoy. Last year my kitchen received a pretty major makeover and I’m still so in love with the results. 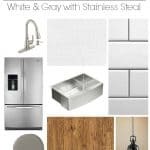 Although I made some big updates in this space, I noticed a few of the less expensive changes that occurred drastically changed my kitchen. They were simple projects that didn’t require much money, just time. 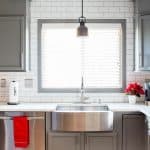 So if you are looking to update your kitchen on the cheap, here are three ways to get the most ‘wow’ for your buck. One simple gallon of paint can completely change the look of a space. 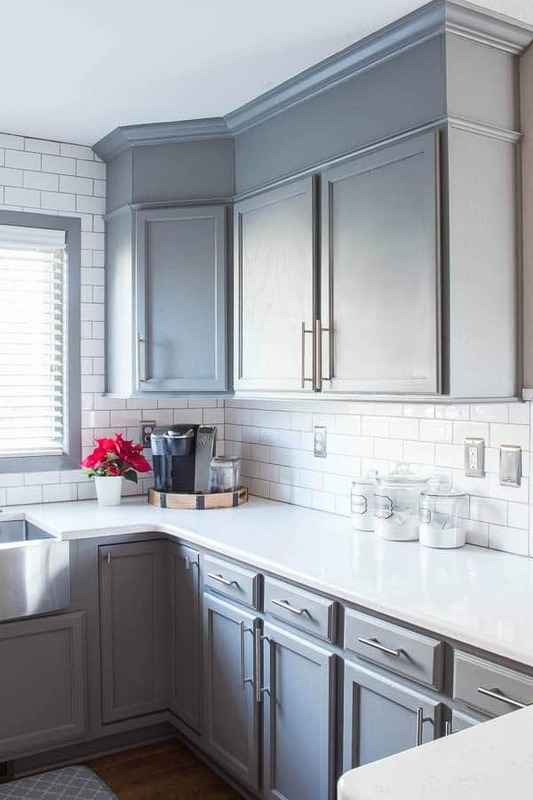 My kitchen went from builder-grade oak to a beautiful, modern gray. I will tell you the process of transforming these cabinets into this gorgeous color did take weeks. So this is not a quick project to tackle, but the cost is very affordable. I only spent about $100 in primer and paint. And as you can see…the results can be a amazing. My previous kitchen had empty space above the cabinets. To me, the only thing that area did was collect dust. I decided to fill it in with some wood molding and trim. This great weekend project only set me back about $100 as well. 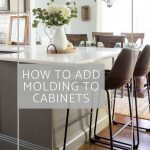 Depending on how many cabinets you have in your kitchen, your cost may vary. But this simple change not only gives a custom look to the cabinets, it also adds the illusion on height. And who doesn’t want their kitchen to look and feel bigger? I like to call this jewelry for the kitchen. For my remodel, I selected stainless steal pulls in four different lengths. 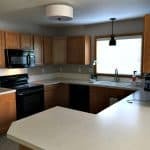 My previous kitchen had no hardware which was a plus for me. I could install any style without worrying about previous holes. Kitchen hardware not only dresses up your doors it also helps save wear and tear on your newly painted cabinets. And the cost is rather inexpensive. The total for all my hardware was around $70. I also switched out all my outlet covers too. Another very inexpensive change that added some fun to the look. Remember, when you update your kitchen on a budget, look for the most projects you can do yourself. You’ll keep your labor costs low but gain a since of accomplishment and possibly even a new skill. 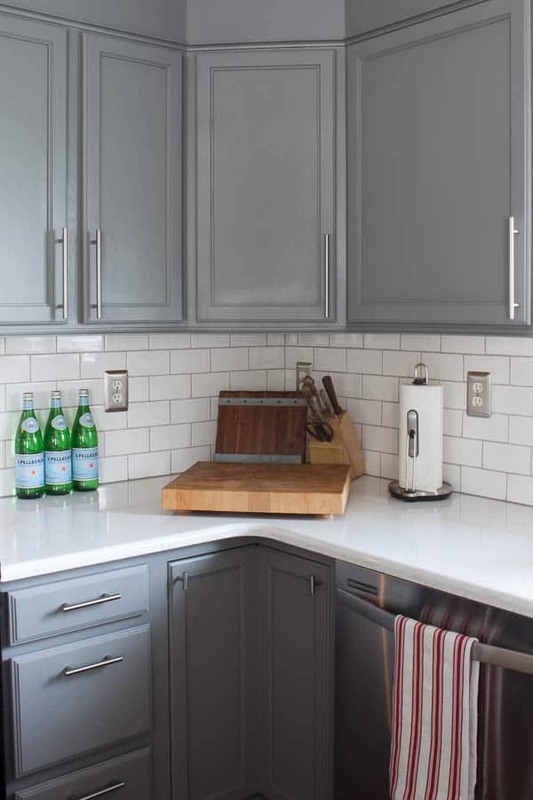 Acquiring the kitchen of your dreams on a budget is possible. 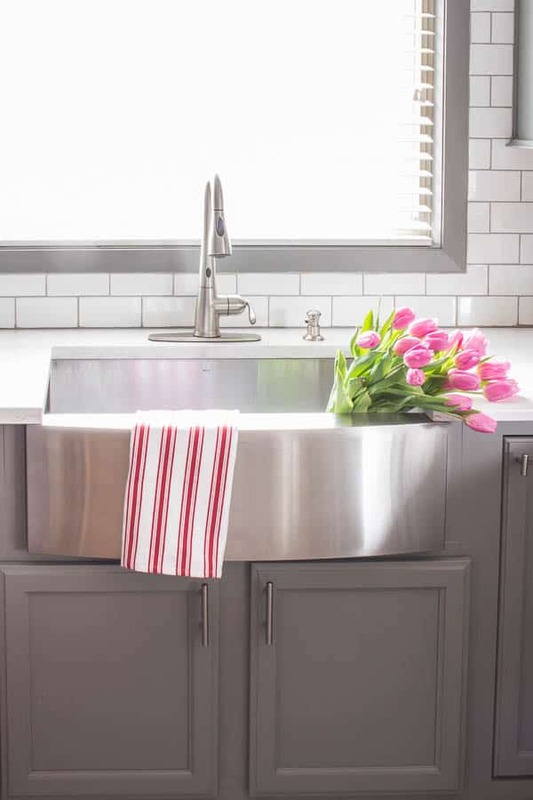 If you start with these three tips, I guarantee your kitchen is going to look amazing. And so will your wallet! Need some kitchen organizing tips? 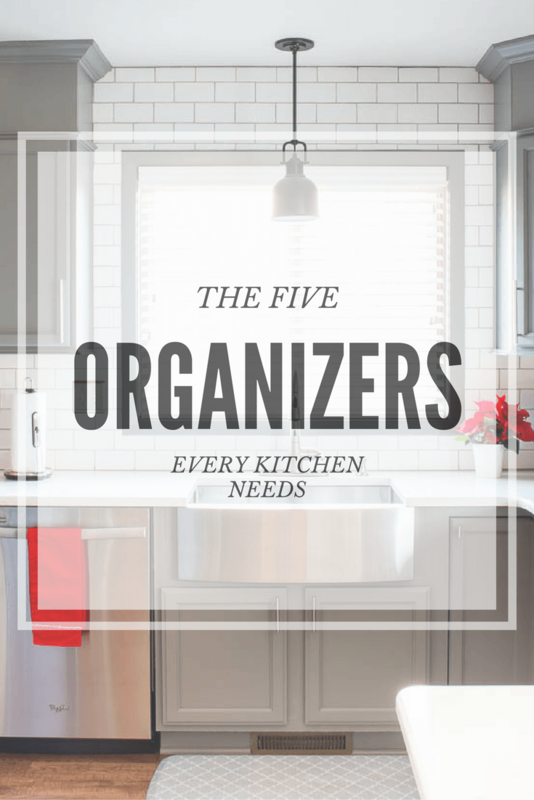 Check out this post here on my five must-have kitchen organizers!